As Spurgeon once said so eloquently, "When you can't trace God's hand, trust His heart." 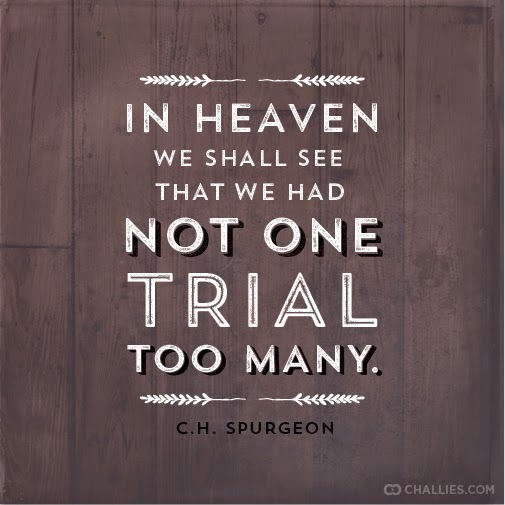 Trials are sent for a purpose. We may not understand why but we will in a coming day. Trust the One who knows best! I needed this!!!! Thank you!!! !